On Monday morning I was checking my email and received a Sephora Beauty Insider message. Normally, I just glance quickly at the contents and then delete them. 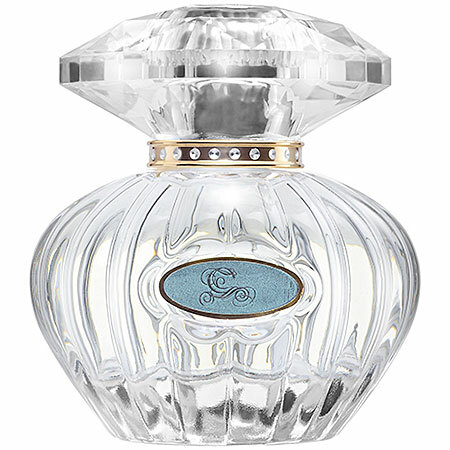 However, this time, I noticed a new holiday collection that really caught my eye, the Cinderella Collection by Sephora. 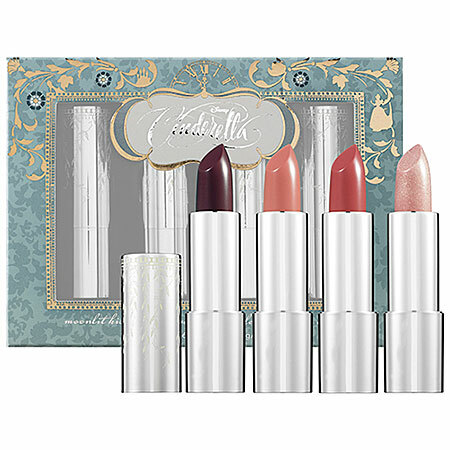 Full of colorful palettes, sweet fragrances, and lush lipsticks, this collection is enough to turn anyone into a princess. My absolute favorite makeup product has to be eye shadows. I love the variety of colors available and how versatile you can be with them. 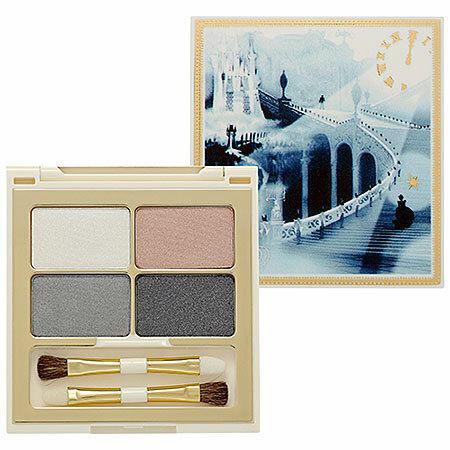 It’s no surprise that the first thing I was drawn to was the Storylook Eyeshadow Palette. 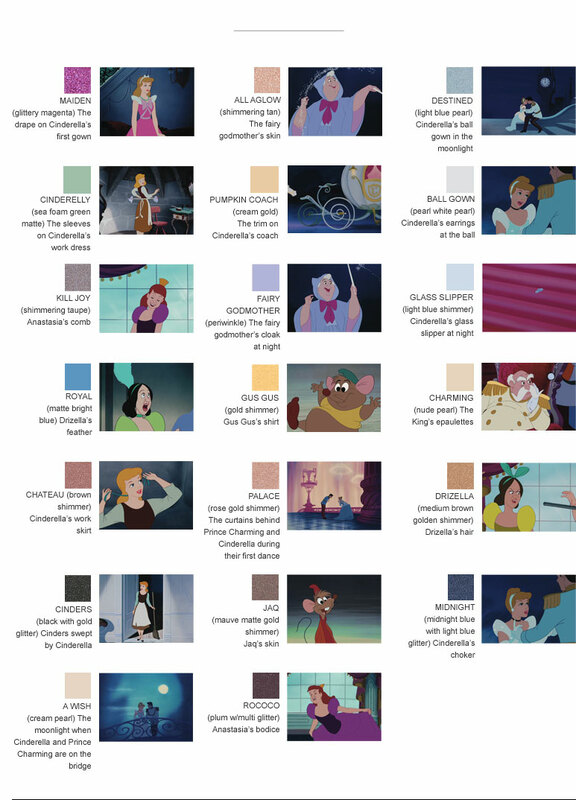 The best part is that each shade draws inspiration from stills from the film. 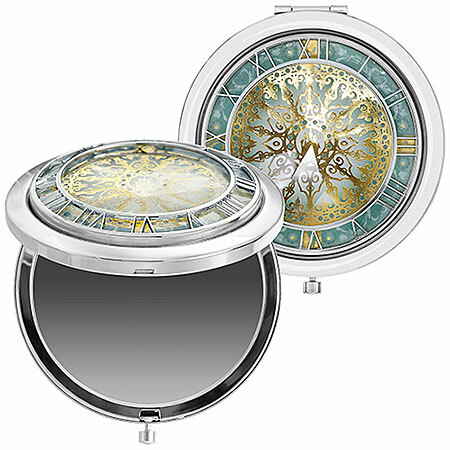 To ensure your makeup looks flawless, use this compact mirror, which features the iconic clock from the film. 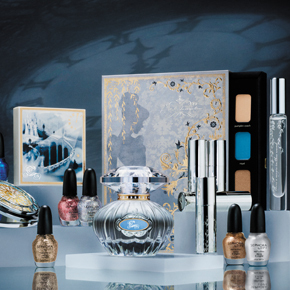 After eye shadows, my favorite beauty item has got to be nail polish. Glittery nail polish is even better! 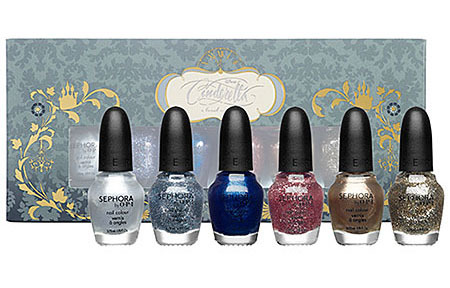 If you’re a fan of glittery nail polish too, check out the A Brush With Fate Nail Polish Set. 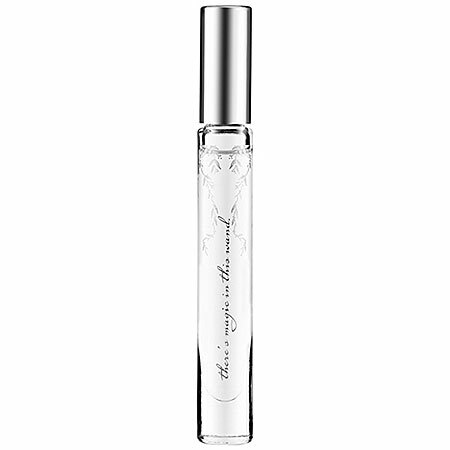 If you’re looking for an enchanting scent, why not try So This is Love either in the spray or rollerball. You can grab all of these now if you’re a Sephora Beauty Insider. However, if you’re not a member, not to fear, all of these items will be available in store and online in early October. 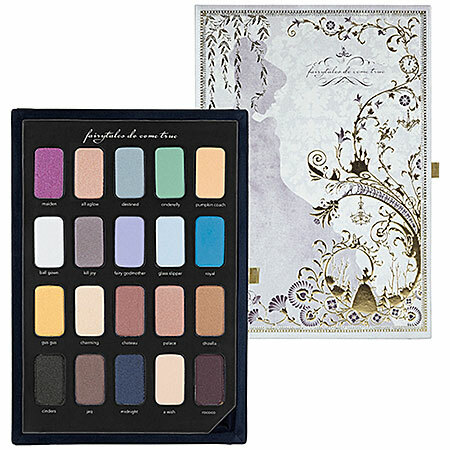 If the princess look isn’t for you, you can always pick up one of the Disney Villain palettes at your local Walgreens seen in our Monday post. Wow they really got creative with this set! I never would’ve thought of using the clock. Thanks for sharing!